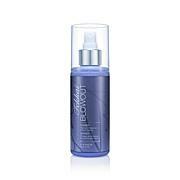 Keep your hair sleek between styles with this frizz fighting serum. This essential primer helps you seal in your style to help you maintain your blowout all day long. Resist the elements and fight for the frizz-free hair you deserve! Wasn't sure about buying this product but am so glad I did! Doesn't weigh hair down or make it greasy. Just a little bit goes a long weigh and is great for those stray hairs. Will be buying it again.